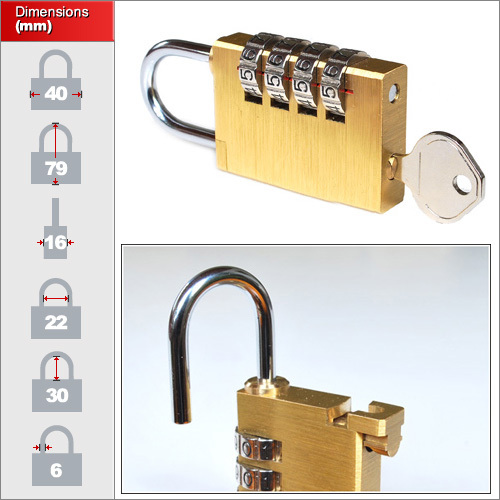 Terms and condtions of sale: 1 Masterkey is allowed per 100 units of padlocks. This is a new development by the British padlock specialists at Shield Locks. It is a high quality wheel combination lock which is resettable to your own code but with an overriding masterkey that operates from the underside of the lock body. 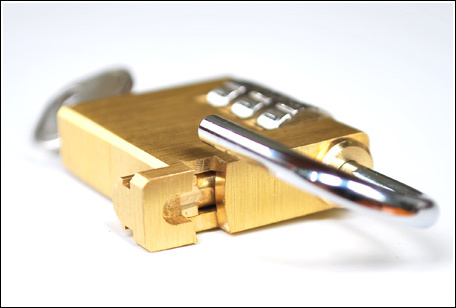 Shield have specifically made efforts to ensure that the lock does not suffer from the problems that many other low quality brass padlocks have where the code can be discovered by pulling the shackle. 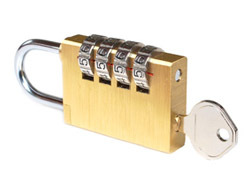 If a pupil sets their combination to, for example, 1-2-3-4 and happens to forget their code, they can go to the padlock administrator and ask for their padlock to be opened using the masterkey. The code can then easily be discovered (as per video below) and set to a new code more memorable for the pupil. This facility makes the product very cost effective as it allows the padlocks to be reissued year after year without vast administrative time ensuring all padlocks are returned set to 0-0-0-0 or taking note of every combination for each padlock returned at the end of term. There are two sizes in this model which will suit all types of locker. Use the drop down menu to select between sizes. Ensure you choose the correct size. 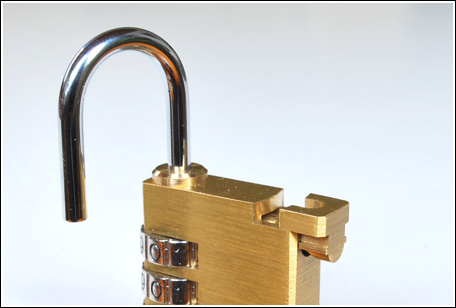 WARNING: Some lockers require a larger padlock with the thicker 6-8mm shackle. If you have this type of locking system you will have to opt for the larger 40mm size! If you're unsure then we have written a small guidence article on Cam Latches. Nothing But Padlocks has been chosen specifically to retail this lock by Shield. We have also been given specific terms to increase the security of the lock and ensure the masterkeys are not misused. The Master-Key functionality makes it idea for schools, colleges and gyms where access may be needed in the event of an emergency. For example if drugs or theft is a suspicion you are able to access the locker discretely. We then have the resettable version which is ideal if your users tend to forget their codes or if they need to be re issued at the end of the year.